So first thing I notice was the stunning amount of modern performers on this list (actually the first thing I noticed was this was a bad list). It seems like the whole of the mid 20th century was almost totally forgotten. I looked up the author, Melanie Erbar, and didn’t find a bio on her, not even a brief one on the site. But taking a look at her archive on the site it looks like all she does is come up with lists for them. So that’s a thing I guess, a job title, something you put on a desk. List Maker! So this got me thinking. Who are the top 10 best magicians to me? First I wondered, am I really the right person to come up with a list like this? The above list was done, presumably, by a member of the general public, and as such, the above list is mostly filled with modern acts the general public would know about. Generally speaking, those are the people magicians care the most about, that’s our audience. I, on the other hand, a Magician who has been at it for 6 years and one who enjoys magic history could write a list, but at a the same time I would have a different bias and point of view then someone in the general public. Weather that makes for a better list or not I can’t be sure. But since it’s my site, what the heck, here is the first JosephDePaulMagic.com 10 best Magician list by Joseph De Paul. *NOTE* I will say, this list will only include those magicians in the Modern era of magic, that is to say, post the career of Robert Houdin the father of modern magic. 10. Roy Benson: Starting off this list is a magician whose name you may not be totally familiar with, however, Roy Benson has left a powerful mark on magic since his time as a working pro and is a name worth knowing. Born in Courbevoie, France, Benson spent his whole life in show business. 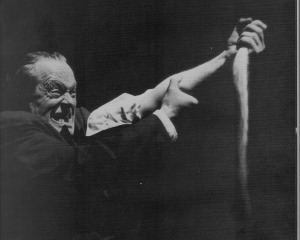 He studied under the great vaudeville magician Nate Leipzig, and began his magic career in the 1930’s. By the 1950’s Roy Benson had become the archetype for modern comedy magic that perfectly blended comedy with skillful sleight of hand magic and manipulation. I would recommend the biography on Benson by Levent and Todd Carr to really get a feel for how good Benson was. What I liked the most about Benson was how far ahead of his time Roy Benson was as an act. Even though Benson never published a book on his magic, (two were in fact written) his mark on magic is still felt to this day. Among other things, the Benson Bowl routine that bears his name is still a favorite of magicians, his additional touches and gags for the Chinese Sticks are now cannon, and in the DNA of anyone who performs with Billiard Balls, there is some code from Roy Benson. 9. Johnny Thompson: Perhaps magic’s last great General Practitioner and the world’s greatest living mind on magic and magic history. Johnny Thompson career spans nearly 60 years, and there is no way I can do it justice in just a few paragraphs. 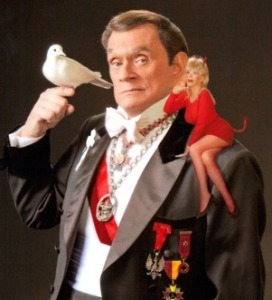 What you should know is that Johnny Thompson knows pretty much everything about magic. He’s one of those guys that have forgotten more about magic than I will ever know. 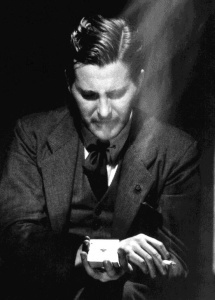 There is hardly a top magic act today that has not had some consulting from Thompson. Everyone from Lance Burton, Penn & Teller, Criss Angel and more has had Johnny Thompson as a consultant in some form. So basically we have him to thank for top of the line modern mainstream magic. Thompson is an accomplished performer in his own right. He pretty much could do it all, Close up, Stage, Illusions, Escapes, Mentalism, Dove magic and so on. He was known best for his slap stick form of comedy magic. Also one can’t talk about Johnny Thompson without including in the conversation his wife Pam. Her comic timing is what made the act so memorable. Unlike other female assistants Pam was just as integral to the act as Johnny, and was the punch line to his goofy set-ups. Johnny Thompson is basically Magic’s unofficial grand Poh-bah. 8. David Copperfield: The name pretty much speaks for itself. With 20 TV specials, a star on the Hollywood walk of fame and an on-going show at the MGM Grand in Las Vegas, David Copperfield is the world’s top working Magician today. 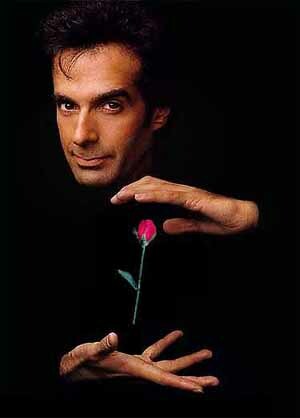 David has been a working pro since the age of 18, when he took the stage name David Copperfield. Since then he has been consider one of the top acts in magic. His relentless work ethic and perfectionist mentality catapulted him to a level of super-stardom in the 80’s and 90’s that few have seen. For my money it is Copperfield sheer volume of work that is almost overwhelming. 20 TV specials is just mind boggling. In each one David would have a brand new act with new Illusions and totally reinvented classic that were cranked up to 11. Today we are lucky to still be able to see him perform at the MGM Grand. So, if you ever find yourself there make the effort to see the show. 7. 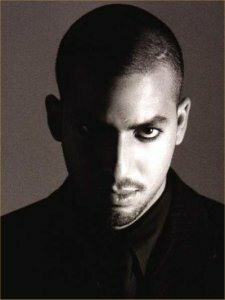 David Blaine: Perhaps currently magic’s only transformative figure, David Blaine has done much to change the way magic is preserved, and enjoyed in the late 20th and early 21st century. Most obviously and where he had the most impact is the way magic is enjoyed in TV. With Blaine’s 1997 TV special Street Magic, Blaine did a number of things that in felt swoop that changed Magic particularly Close Up magic forever. The first was he took it to the streets. Rather than the very staged and artificial feel of a TV set with forced enthusiasm, David showed us everyday people. People we believed. Blaine’s other stroke of genius was that that rather than make the show all about him he moved the camera just enough so that the TV viewer could see the reaction of the people there, the real reaction. And finally, sprinkle in a dash of celebrity face time and Ta-DA! One also can’t discount his crossover appeal. Following in the footsteps Harry Houdini, Blaine staged these grand public events to showcase himself as an endurance artist. This only added to his persona. Most importantly David did something that really no one has been able to pull off. He made magic cool for Adults again. For far too long, by that point, magic was really seen like cartoons are ( wrongly I might add) as a type of genre for kids. Blaine went a long way in smashing that. 6. Dai Vernon: There is hardly a magician worthy of the name that doesn’t know of Dai Vernon, yet he is almost totally unknown to the general public. Described as the Marshal Duchamp of magic by Adam Gopnik in the New Yorker Magazine, most magicians know him as “The Professor”. Vernon for the most part is credited with changing the way close up magic was thought of in the 20th century. Unlike everyone else on this list Vernon really didn’t make his living as a performer of magic, in fact most of his money came from friends and cutting silhouettes. Born in Canada in 1889 he made a huge splash in the New York City magic scene in the 1910’s. Later in the mid 60’s Vernon would move to California and became the resident magician at the Magic Castle where he spent the rest of his life until his death in 1992. Vernon’s impact on magic was simply called the Vernon Touch. Put even simpler than that, it boiled in to two principles “Be Natural” and “Use your head”. The ideas steam from what Vernon and many others think of as the bible of card work “The Expert at the Card Table”. The book was less about magic and more about cheating in card games. Vernon great contribution was to take the moves from the book and apply them to card magic and also extend principle of total naturalness the gambler uses to evade detection to the magician. His other great contribution was his mentorship of many young magician who would later go on to became highly regarded close up magicians themselves.